Slack has changed the way teams and whole companies work with its business app for centralizing communications and information. Slack’s CEO Stewart Butterfield and VP of Customer Experience Ali Rayl reveal the role that the customer experience played not only in the company’s explosive growth but also how Slack built the product itself. Hey! 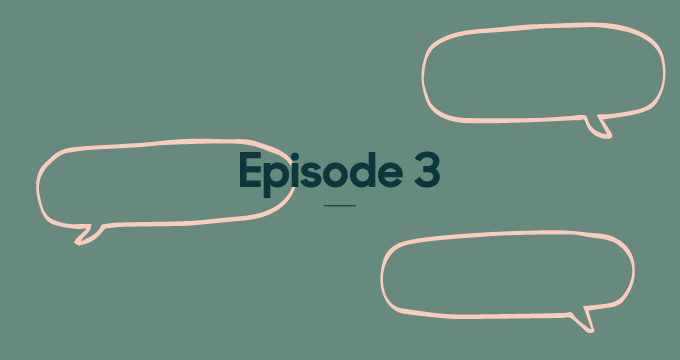 Welcome to episode three of a brand-new business podcast called Repeat Customer, by Zendesk. Before we get into it, I want to know something: have you ever had this problem? Sound familiar? Because this is a problem not unique to Kevin, or to MATRIXX Software. And, there’s more. We had one cohort of people who communicated exclusively via WhatsApp...another group of people who all communicated exclusively via Skype. We had yet another group of people who were communicating exclusively via email. And you can't efficiently communicate across all these different channels. Not efficient at all, but that’s how people used to communicate with their colleagues. Death by a thousand apps. And then, a few years ago, something new came along. Slack. Yes. Slack is a workplace messaging tool that has totally changed the customer experience of working. But did you even know there was such a thing as an individual customer experience when it comes to work? Well, Slack thinks so. Welcome to...Repeat Customer...an original podcast from Zendesk about great customer experiences…Because that’s what Zendesk is all about—it’s a customer service and engagement platform—and the people there have sent me, Mio Adilman, in search of companies that do it really well, to figure out how they do it really well and why their superfans love them so much. Which brings us to Slack. It has changed the way people, teams, and businesses, communicate and collaborate. Slack has changed the way people work. And they’ve done it by focusing on many different levels of the customer experience. So we’re going to look at that aspect of Slack’s story because people usually focus on the story of Slack’s pivot from a video game company to a business communication app. I did not know that. Wait a minute, so how did that happen? OK, well maybe we’ll talk about that a bit, but we think the secret sauce of Slack’s success is in the customer experience. So there was a point in my lifetime, where if you wanted to send someone a message at work, you had to type, with a typewriter, something called a memo, then walk with that memo to a person’s desk and actually hand it to them. And if the person wasn’t there, you could leave the memo in a small mailbox. But then, email changed everything. Mailboxes became inboxes. And I was totally blown away. Since then, though, email hasn’t aged that well. And because I’m not a technical person, I found someone who is to explain what happened. Hi, my name is James Allworth. I'm cohost of the podcast Exponent, which dives into the impact of technology on society. The experience of using email wasn't always great. People would get added to threads, taken off. People would reply all when they shouldn't. Attachments would get buried... Yes, you could communicate, and it was digital. And it was asynchronous, which was fantastic. It meant that people didn't necessarily need to be talking at the same time if they didn't want to be...And then you'd wake up the next morning, and there'd be a hundred emails in your inbox that you felt you had to reply to. Wow. To compensate for this people added more apps to the mix just like at Kevin’s company, that story he told at the start of the show. And obviously that wasn’t so great. So this is the world Slack stepped into. Slack is a collaboration hub. Hi, my name is Ali Rayl, and I am the VP of Customer Experience at Slack. It brings all members of a team together. It gives them access to all the information that they need to do their jobs. It's right at their fingertips and it's available wherever they go. It's on their desktop computer. It's on their mobile device. They have instant access to everything they need to do to get their work done no matter where they are. Finally, some order! We’re so used to chaos that people usually find Slack hard to understand if they haven’t used it. Like, it’s sometimes difficult describing Slack to those who haven’t used it, but let me try: At its most basic, Slack gives you a bunch of channels that teams can use, where everyone in a team can message each other and share information whether it’s text-based stuff or media. A channel can be organized around a topic, a project. Anybody coming into that topic or project fresh...they have all of the knowledge at their fingertips that they need to come up to speed quickly and to begin contributing. For example, we'll have a channel that's devoted to just discussions about our website or we'll have channels devoted to sales demos...marketing...so that you can find things that are important to you or relevant to your job…The other day one of our guys was looking for a video asset that he needed as part of a sales pitch...In the old days he might’ve emailed someone who didn't know where the asset was and who knows how long he would've bounced around until he finally would've gotten to somebody who could actually tell him what he needed.. Instead what happens is he posted in this channel, I see it, I respond within a minute… and it's done. For a generation of people raised on more and more fragmented workplace communication, this was a huge experiential shift. Whole teams now chatting with each other instead of private one-on-one conversations via email. The key idea is the channel exists independent of its members...So what ends up happening is everyone's looking at the same things, whereas in email, everyone's looking at a partial, fractured version, entirely their own view. That’s Stewart Butterfield. He and some colleagues created Slack while running something called Glitch. Glitch was a massively multiplayer online video game, not a workplace communication tool. Glitch was a game that wasn't so much about pure fun and joy as it was about collaborating, creating and growing an emergent world over time. Okay well, Glitch and Slack might share a similar collaborative DNA but Slack actually emerged out of that nagging common problem shared by most workplaces. The company didn't start with the intention of creating a messaging program. They had this problem, like every small startup team, around what's the best way to communicate. They developed this set of internal communication tools because they were frustrated with all the other options that were available. We didn't look at the other ones that were out there and then consciously decide, "We're going to make our own." We didn’t think about it we just did it. We just solved the actual problems that we experienced trying to work together. We had developed a system for internal communication which was essentially a prototype. A pretty lousy, low quality, jury-rigged, hacked together prototype of what Slack would become. Was it based on IRC? IRC is short for Internet Relay Chat and it’s the system behind chat rooms, message boards. Old school nerd action due for an update. It predates the Web by a couple years. And because of that, it's missing many features which people take for granted today. So for example, it has no concept of store and forwarding messages. If I want to send you a message and you're not connected to the server at the moment I want to send it, I just can't send it. So we added a way to ... basically a bot that would log in and record all the messages. And then once we had the messages in a database, we decided we wanted to be able to search them. What we found over the course of several years was, the more people paid attention to this internal communication system, the more information ended up getting routed into it...And the more information we routed into it, the more people paid attention. And so we had one kind of central system. And this is the pivot, that everyone likes to talk about, and the pivot that we’re only going to talk about for a moment because it’s what happens after the pivot that I really want to talk about. When Glitch, the video game, went out of business the small team that remained looked around and realized that other workplaces might benefit from this new thing...this workplace messaging thing...and they decided to call it Slack. It stands for Searchable Log of All Communication and Knowledge. But how do you get people’s attention when they’re still really busy checking their email? If people don't know that something exists, then it's hard for them to imagine that they need it. So people can experience all kinds of problems and challenges in the workplace. A lack of alignment or clarity. You know, a lack of shared consciousness and coordination that results from that. But they don't think, "Oh, I'm experiencing these problems. Therefore, I need a better tool for internal communication." They experience them just as problems that maybe they attribute to a lack of communication skills in themselves or in their colleagues...So the challenge is trying to get people to understand that this thing that they'd never heard of in a category that they didn't know existed will actually address some of their problems. This is an amazing notion. That we would just blame ourselves for poor communication instead of recognizing a larger experiential problem. So getting people to understand that was a really big challenge. But not the only one. You're deemphasizing email. You are taking away some of the core tools that I've used for a long time. You're changing the whole customer experience of how people do work. Ali: It is an enormous ask. It's one of the things that we recognized early on. We were asking people to do an awful lot of heavy lifting. And, in many cases, they weren’t just asking people to do some heavy lifting. They were asking people to put down some pretty heavy stuff. Like something called Outlook? You know, run by a small company called Microsoft? But how do you do that when your new company, Slack, is run by only eight people? And you don’t have a lot of money? Stewart who, in addition to being CEO, was also our designer and our product manager. We had six engineers who were building all the pieces of the product and then we had me. You'll note that in that set of people, there's no one for sales. There's no one for marketing...What we decided was if we make a product that people feel passionate about, if we make a product that people want to bring into their workplaces and want to pay for and want to convince their bosses to pay for, because it makes them so much better at work, then we’ll have a business without augmenting our team with all these functions that none of us really had natively. What Ali Rayl means is that a decision was made to focus on the customer experience. Like, the success of the company, if it was to be successful, would be because of the customer experience. When you have customers, you need to help them. Especially when you're making a brand-new product. That feedback was also extraordinarily crucial for us because we knew how to build a great product for a team of eight people who happen to be us. But, we didn't know how to build a great team for the abstract collection of all the teams in the entire world trying to get stuff done together. Customer support was going to be a huge part of the deal. This is pretty unbelievable. At the same time that they would be supporting their customers in adopting a new product experience, Slack would be actively using their feedback to scale the product. Understanding what people do at their jobs, understanding what their responsibilities are, how they think about things, the other tools that they use, all of these things we needed to understand from our customers in order to understand how to build something that worked for them. So the Slack team gave early versions of Slack to friends at other companies and watched how they used it. At the time, we still were thinking, this tool is great for teams of like 50... this was one of our most valuable learning moments was what happens when Slack grows from a team of 50 to a team of 100? And a team of 100 to team of 150? And this completely destroyed, in a great way, a lot of the preconceptions we had about how applicable our product could be to much, much larger teams. Hi. My name is Jeanette Jordan. I'm the Head of Product Marketing for RollWorks, and that is part of the AdRoll Group. we have an employee base of about 550 people. But we have almost a thousand Slack users. We have almost twice as many people that do not work for us full-time using our Slack platform as we do internal employees, which I think is really cool...So in about 30 days we send almost 900,000 messages. But we also have a ton of integrations. We have 117 integrations with other applications. And those teams asked for things, things they needed to suit their size, that Slack’s own smaller team didn’t always think to add: integrations, APIs open to third parties to build on top of Slack, a purpose description for channels, threaded conversations, certain security features. As a profoundly user oriented product, we have always been focused so heavily on how do the people using our software feel about it. Not how does the purchaser buying our software for all these people feel about it. It's a very fundamental difference that I think a lot of enterprise software companies don't think about. This is a key point for my technical interpreter James Allworth. The way Slack gets inside of organizations is not the traditional way of selling up the top and it being forced down throughout an organization. Slack gets individual teams, like they present a piece of software that's super compelling, that people love to use, that makes them more effective as a team, and the team adopts it, and then another team adopts it. This connection to the end user even extends to how you can get Slack. What's so interesting, particularly in a world of smartphones...it's the consumer that owns the smartphone, and consumers have gotten used to this idea that the software that they use should be delightful and easy to use and have a great interface. They're used to Uber or Facebook but they're also used to, they control it, it's their device, they can put on it what they want, and I think Slack took advantage of these trends. Speaking of trends, when I first used Slack, I was like, “Oh, this is social media, but for work.” I’m thinking of tagging people in threads, hashtagging, web link previews, stuff like that that we’re always doing in Twitter, Instagram, Facebook. Which, on one hand wasn’t that much of a surprise because years ago, Stewart Butterfield was the co-founder of Flickr. But on the other hand, hey this is work! It’s serious. I totally forgot to mention the emojis. Another thing Slack users asked for was emojis. How do we broaden the opportunities for emotional expression and how do we also provide opportunities for people to say things without posting a message? This is I think one of the pitfalls of a lot of traditional messaging tools is that it is very easy to get into like a me too, me three, oh yeah, I agree. It's just a pile of really low-signal, low-quality messages. “Broaden the opportunities for emotional expression.” I’ve never heard anyone refer to emojis like that. But at work, when discussing work stuff, we now use emojis thanks to Slack. I emoji thumbs up my boss when he asks me to do something. And get this: if I post some good news in a channel, my boss will respond with a GIF...of MC Hammer doing the Hammer Dance. And my boss isn’t a teenager. I mean, it almost seems frivolous, doesn't it?. But there's this notion that people want to bring their whole selves to the workplace. I'm originally Australian...And one of the things that I really noticed culturally about the US is people's identity, it's closely tied to their job. They don't want to be two separate people when they are at home and when they are at work. There’s also something called Slackbot. It answers questions, reminds you of things, and where I work, at least, we rigged it so, if someone compliments you, Slackbot will give you a taco. Not a real taco, an emoji taco. Enterprise software by virtue of the fact that so often the person making the buying decision and the user are different people, enterprise software providers have gotten away with blue murder on the interface and the user experience front for a very long time. It's not been prioritized because the way that enterprise software is purchased, the features and the benefits get put in a spreadsheet. And things like the look and feel and the user experience, how do you quantify that kind of thing to even put it in a spreadsheet?...As such, people haven't always really liked the software they used at work. So I’m jumping around Slack’s historical timeline a bit, but the point is they created a new workplace communication tool, a new product experience, and they made the end user feel like an individual customer having a customer experience. Within the first 24 hours, we had 8,000 people sign up and by...the end of our invite only preview release, we had over 24,000 signups. But remember, Slack was still a very small company at this point. And very dependent on its ability to support its customers. What happens when a whole bunch of people realize they need Slack? How do you scale something like that? How do you anticipate, how do you plan? How do you keep that consistent with the growth of the company? One of the things that we were all monitoring extraordinarily closely as a team was our incoming support volume. We'd invite a huge tranche of people in and if there were one or two or three issues that was causing an enormous spike in support burden, we're like, alright, we were going to invite another batch in on Wednesday, but now we're not. Instead, we're going to fix these three problems… sometimes this process took us a day, sometimes it took us a week, but we cut down on support requests by fixing the product so that they wouldn't come in. That takes real discipline around customer support. And commitment to its place in Slack’s evolution. As the company has grown, the customer support team makes up about 15 percent to 17 percent of its thousand-plus staff. Which seems extraordinary to me, but I’m hardly an expert, so I run this by my trusted customer experience advisor, Nate Brown. Nate runs the CX Accelerator, a customer experience blog and online community and a Slack channel. Have you ever engaged with customer support at Slack? No. And, that's amazing, because I am a power user of that tool...I created a community out of Slack, and I have never once had to call customer service. I had issues, and every time I've been able to use self-service and search on their knowledge base, and find out exactly what I needed within minutes. We're extraordinarily proud of our help center. It has done so much quiet, heavy lifting for us in terms of helping our customers. It has a distinct Slack voice. It sounds like us, but it's a very tactical, but kind voice. That brand consistency is critical to provide that human front interface, where you feel like you're engaging with a relationship with a person, not just a company. As soon as the touch points don't align, and the brand consistency devolves, it's not a person anymore, and you remember that you're dealing with a company. Nate has never needed to speak to someone at Slack, but what about that actual human interface? One of the things that I'm most pleased with is that we've never built a deflection. If you want to contact us...A person is going to pick up and say, "Hey, thanks for calling Slack. What can I do for you?" It is just a very seamless transfer of information between the people with the knowledge and the customer on the other end of the phone without any sort of tiered support, passing people off, deflecting you to another cue. My coworkers wanted to give shoutouts to two of the agents that we've worked with that have really gone above and beyond. Those are Leah and Megan. They've really helped us. Hi. My name is Amber Carson Miller. I'm the Senior IT Administrator at AdRoll Group in San Francisco. You guys actually have ongoing relationships with specific customer service representatives? Amber: Absolutely. Compared to other larger vendors, if you speak to the same person more than once, that's like a miracle…I always come away from my experiences wanting to be friends with whoever I'm speaking with or whoever wrote whatever I'm reading, just because it's all very friendly, but clear and to the point at the same time. I've never heard of customer service representatives having fans. So Slack did convince a lot of people to put down the email and jump into their channels. By focusing on customer experience it has attracted 8 million daily users in just 5 years. And transforming business communication has been lucrative, Slack is currently valued at over 5 billion dollars. I think five years after really digging in and starting to ask our friends to please try our fledgling beta product, we're still only scratching the surface on how to describe the value to people. So now, for my final trick, ladies and gentlemen, I am going to impress Stewart Butterfield by describing the value of Slack’s customer experience ethos back to him. You introduce something that they don't necessarily know that they need, despite the fact that they could probably all identify with the problems that they were having that this would solve. But then you almost immediately ask them to help you ... It seems a bit ironic, to me, that you're asking people to help you refine something that they didn't even know they needed. I'm not sure I would say that we're asking them to help us refine it. We're just listening to them and observing them...We let them ask us questions. So, "How do I install it on my Linux desktop machine." Or, "How do I invite someone to a channel. "...We try to expose as much of the company as possible, like, as much surface area, if you will, to customers...kind of everyone who works at the company. Because more or less everyone who works at Slack knows many people outside who are Slack customers. And the result of that is we get great feedback. So it's usually not direct...Instead, we look at how people are using it. What problems they're encountering. What they're asking us about. Often, people, when they have questions, are either asking for clarification for how something works, or they're asking for something new. They might not be doing it directly. And so you have to learn how to interpret that. People aren't necessarily perfect at telling you exactly what they want or what they need. But they are perfect at being satisfied or dissatisfied with something. And if you learn how to interpret and how to listen and how to respond, you can use customer feedback to create a world-leading product.